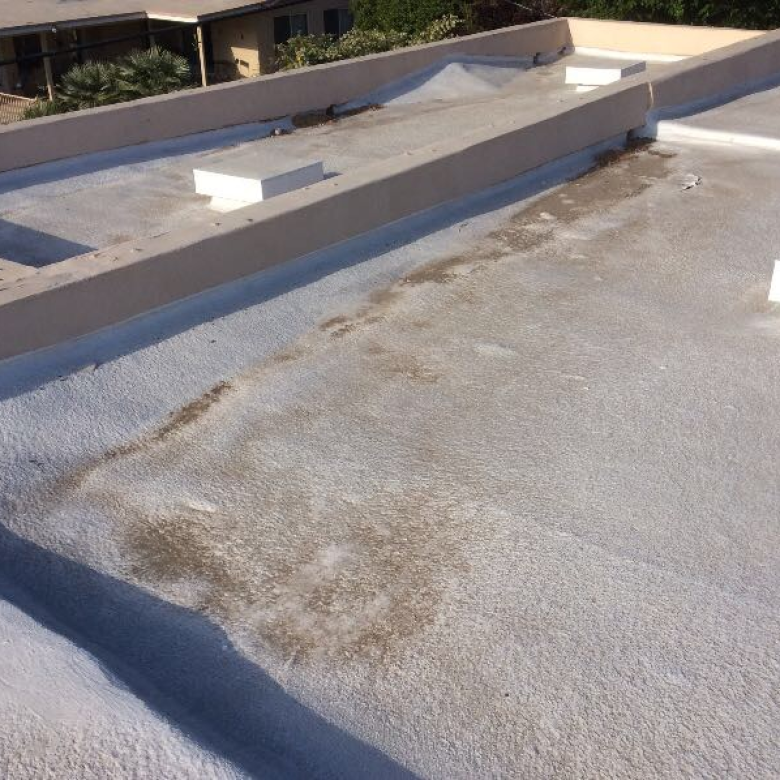 The top of a flat roof is a popular location to place commercial HVAC units, but this is also one of the biggest causes of roof leaks and damage. 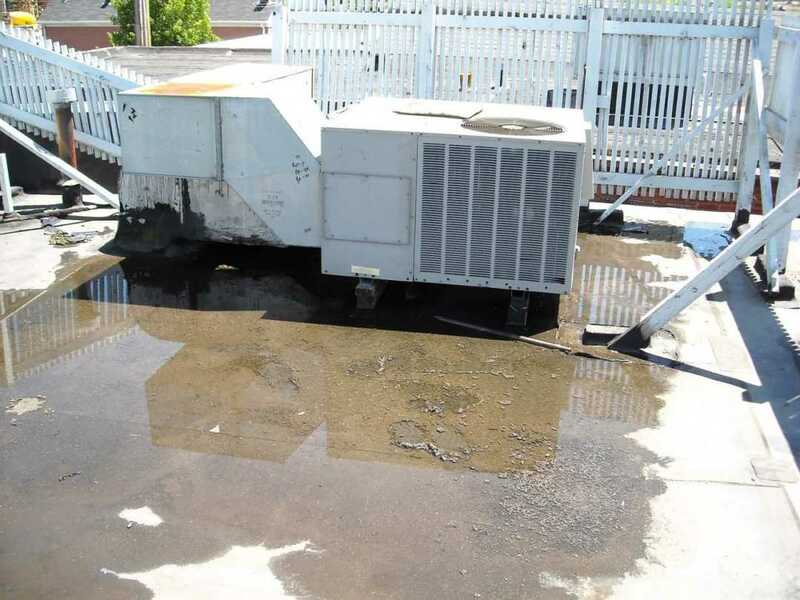 Any penetrating objects on a flat roof are areas that need regular inspection, but because of the large size and weight of commercial HVAC units, they require the most attention. Here are 4 reasons to regularly inspect the area around HVAC units on flat roofs. Commercial HVAC units installed when the roof and building were constructed are less likely to cause problems to a flat roof. When a unit is installed otherwise, the flat roof membrane must be cut into, which can create leakage problems. HVAC technicians are not roofers, and sometimes the materials and methods they use to install the units are not proper. The sealed flashing underneath the HVAC unit is the main protection from moisture penetration getting into the cut open flat roof membrane. If this sealant or flashing comes unsealed, water can directly flow into the substructure of a flat roof; mold, rot, and leaks can become the result of unsealed flashing. 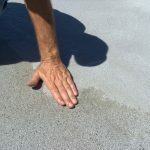 Ponding or puddling water on a flat roof is a major problem to look for when inspecting it. One of the common problems that occurs with HVAC units is puddling water from improper draining of the condensation. Commercial HVAC units produce a large amount of condensation; the remedy is to install interior drainage lines or condensation lines that direct the water to the nearest roof drain. When regularly inspecting the HVAC unit on your commercial flat roof, make sure there’s no condensation problems or puddling water around the unit. Commercial HVAC units weigh around 400 to 4,000 lbs, which means sometimes an awkward installation or unforeseen settling will cause a low spot around the unit. This can lead to the flashing becoming loose and/or puddling water around the unit. 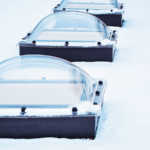 Having the unit regularly inspected, a few times a year at least, will prevent any long-standing puddling water problems. The flat roof membrane around the HVAC unit could suffer damage from being a high traffic area. We’re not talking about a downtown cities’ sidewalk high traffic, rather technicians, employees, and other workers on the flat roof for whatever reason. The HVAC technicians, themselves, could’ve cause some damage to the membrane around the unit when installing it or servicing it. One idea to reduce the wear along high traffic areas is to place walk-pads in these areas. 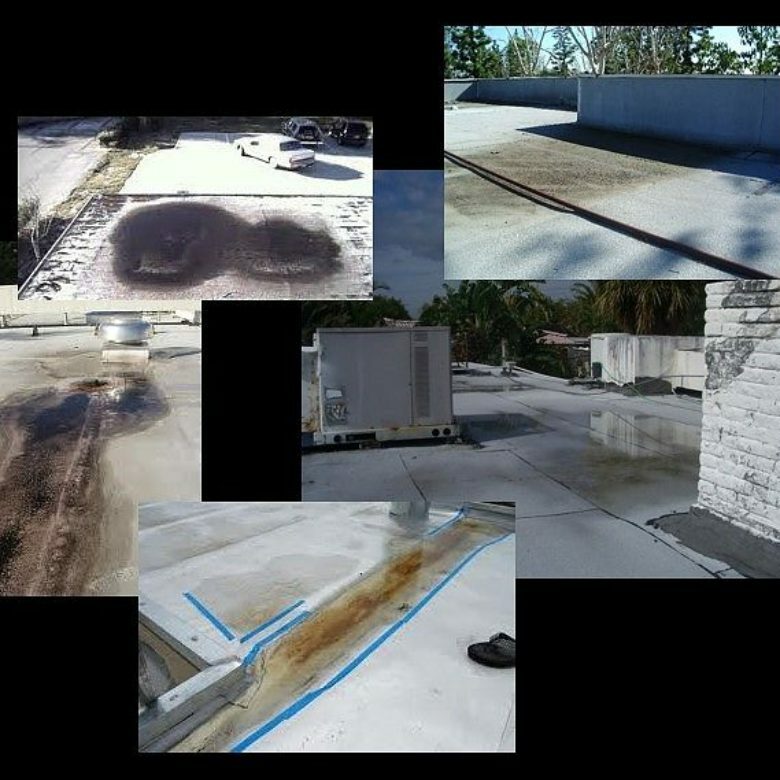 All penetrating objects on a flat roof are potential causes of leaks and damage, so they should be regularly inspected. The most common object to cause leakage problems is the large and heavy commercial HVAC units. Even when they’re installed well and carefully, inspecting them regularly is important to prevent any leakage, mold, or substructure damage. These 4 reasons to regularly inspect the area around HVAC units on flat roofs, point out the main issues these large weighty units cause. If one of these issues is detected, applying RoofSlope can solve the problem quickly and easily. RoofSlope is an auxiliary sloping product that can be applied around the base of penetrating objects and the sides of a flat roof. RoofSlope will eliminate puddling water caused by low spots around the HVAC unit, and provide a sloping seal around the flashing. RoofSlope is an innovative roofing product that’s UV stable, can be applied with one coat, is durable, fast drying, and bonds well over multiple substrates. Applying RoofSlope around commercial HVAC units on a flat roof as a preventative measure will go a long way in ensuring these common problems don’t occur. If interested in learning more, please contact us today.